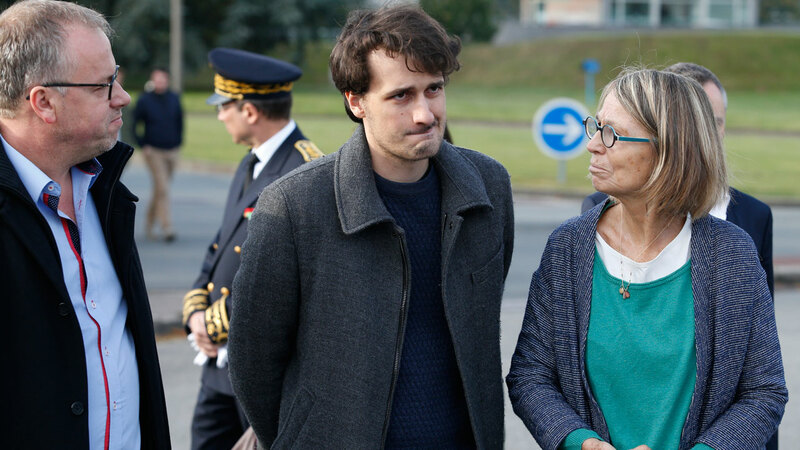 The young French journalist Loup Bureau arrived back in Paris on Sunday, “tired but relieved”, after being detained for more than seven weeks in a Turkish jail on terror charges. The 27-year-old’s case had heightened alarm in Europe over press freedoms under Turkish President Recep Tayyip Erdogan, who launched a wide-ranging crackdown after last year’s failed coup against him. Bureau, a journalism student who has worked with the television channels TV5 and Arte and the website Slate, was detained on July 26 on Turkey’s border with Iraq. He was charged with membership of the Kurdish People’s Protection Units (YPG), a Syrian Kurd militia, after he was found with photos that showed him with members of the group. Ankara considers the YPG to be the Syrian affiliate of the outlawed Kurdistan Workers’ Party (PKK), which has been waging an insurgency against the Turkish state for more than three decades. But the United States regards the YPG as the most effective force fighting the Islamic State group as it seeks to wipe out the jihadists in Syria and Iraq. Bureau’s friends, family and girlfriend, along with French Culture Minister Francoise Nyssen, were at Paris’s Charles de Gaulle airport to greet him as he landed on a flight from Istanbul. French President Emmanuel Macron, who had appealed to Erdogan for Bureau’s release, spoke to the journalist by telephone and told him to get some rest. “I was not ill-treated physically but there were threats and intimidations,” Bureau told reporters at the airport. Bureau’s arrest had spurred a high-profile campaign in France for his freedom, and Foreign Minister Jean-Yves Le Drian flew to Ankara last week to lobby on his behalf. Turkish authorities have arrested tens of thousands since the failed coup of July 2016, targeting a variety of opponents as well as individuals accused of links to the alleged putschists. Several European journalists have been caught up in the crackdown, with European Commission President Jean-Claude Juncker speaking out against the arrests in a country that remains a candidate for EU membership. In June, Ankara released and deported French photojournalist Mathias Depardon who was held for a month on charges of supporting terror groups. He was also detained in Turkey’s restive southeast. Germany’s Die Welt correspondent Deniz Yucel was imprisoned in February and has been personally accused by Erdogan of working as a “terror agent”. Press freedom group Reporters Without Borders (RSF), which campaigned for Bureau’s release, hailed his return but estimated that 160 to 180 Turkish journalists are in detention. “The liberation of Loup Bureau is welcome but the situation in Turkey has not changed,” said RSF chief Pierre Haski, who was at the airport to greet the reporter.